What Is a Popular Dessert With Papaya Fruit? What Can You Do With Strawberry Irish Cream Liqueur? 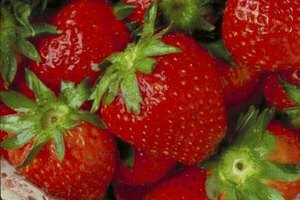 Strawberry Irish cream blends well with many fruity drinks and desserts. 2 What Drinks Can I Make With Banana Rum? 3 What Kind of Food for a Hawaiian Themed Dinner? 4 What Easy Desserts Can You Make Out of Blueberry Muffin Mix? From desserts to drinks, there are many things you can do with strawberry Irish cream liqueur. The liqueur is a silky drink with a robust background flavor, typically made with a blend of Irish whiskey, cream and strawberry flavoring. While its unique taste may limit it somewhat in terms of versatility, the secret is to use ingredients that pair well with all three basic flavors in the liqueur. Strawberry Irish cream liqueur is really a cocktail all to itself, but it’s also a simple way to add a robust flavor to other drinks. Stir the liqueur into hot cocoa for a classic taste. For a potent drink, mix the flavored Irish cream with tequila. Combine it with citrus soda and lemon juice for a refreshing kick, or try an island-style cocktail with a mixture of banana liqueur, coconut liqueur and the strawberry Irish cream liqueur. Ice cream and strawberry Irish cream liqueur is a natural match, especially when it comes to creating an indulgent adults-only shake. Blend strawberry ice cream with the liqueur for a traditional taste. Go for a rich flavor with mixture of chocolate ice cream, chocolate syrup and the strawberry liqueur. Combine rocky road ice cream and the liqueur for an extra-sweet twist, or try something unusual, but tasty, by mixing strawberry Irish cream, vanilla ice cream, butterscotch syrup and pecans. Spiking a cake with strawberry Irish cream liqueur adds a rich depth of flavor to the dessert. Mix the liqueur into German chocolate cake and cover with coconut frosting for a gourmet-style sweet. Stir the alcohol and diced strawberries into yellow cake batter and cover with cream cheese frosting to create a strawberries dessert with bite. 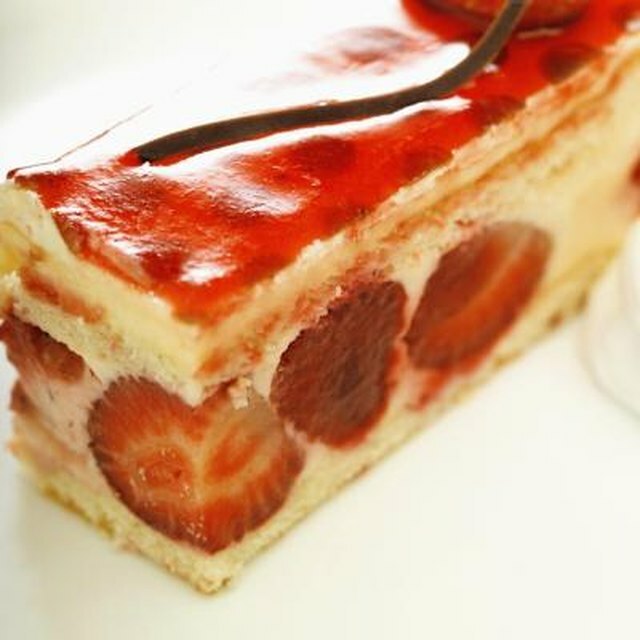 Make an indulgent treat by mixing the strawberry liqueur with cherry cake and covering it with dark chocolate frosting. Drizzle the liqueur over baked angel food cake for a strong swirl of flavor. Cookies are not the most common place to find alcohol, but strawberry Irish cream liqueur pairs well with several cookie recipes. For a simple sweet, stir the alcohol into white chocolate chip cookies. Mix chocolate chip cookie dough, strawberry Irish cream, and dried strawberries for an old-fashioned taste. Pour some of the liqueur into almond tea cookies to add a background flavor with depth. Go for a light taste with strawberry liqueur mixed into sugar cookies. Use strawberry Irish cream liqueur as a dressing to turn plain fruit salad into something special. Drizzle the alcohol and honey over cantaloupe and watermelon balls for a juicy dessert. Sprinkle the liqueur and granulated sugar over strawberries and raspberries for a powerful berry sweet. Make a nutty treat with a mixture of strawberry Irish cream, strawberries, bananas, pecans and macadamia nuts. What Can I Do With Frozen Cherries That Have Thawed? What Is a Good Lemon After-Dinner Drink?